After a month in the deserts of Iran it felt really good to wet my kayak today. I just got back from my first creekboating run of the year. 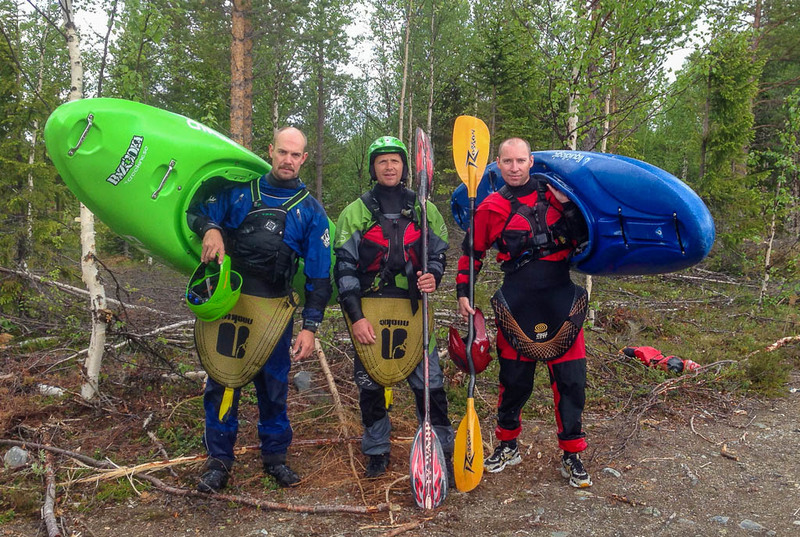 Together with Stefan, Hedin-team member, and our friend Ante Danielsson from Östersund we paddled Vålån, a class IV section close to Åre. It was an interesting contrast for me to spend time in the desert, since I am so used to always having water all around me. Water have always been my element. I grew up swimming and playing in a small lake close to my home and from the age of nine I have been a kayaker. 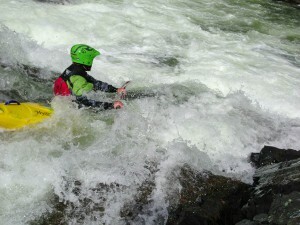 In 1996 I bought my first whitewater kayaking video on VHS – “Kavu Day”. That summer I watched that video every day. Yes, that is right, every single day. That was before Youtube and the unlimited access to digital video through the internet. I just turned on the TV while eating breakfast and got my daily fix of incredible kayaking action and inspiration. Stefan Pettersson running Ingeborgsfallet on Vålån. Here in Sweden we are very lucky to have massive amounts of water all around us. In Iran, and of course many other places on earth, the supply of water dictates all life and can be the cause for conflicts between states. With the development of climate change water resources and management will continue to be one of the most important global issues for the future. On one hand water can be world politics and a matter of survival, but on the other hand it can be a playground where you can forget about all that and just enjoy life here and now. This was one of those days and Vålån offered a perfect level of challenge for a season premiere. As usually on the first session of the season I felt a bit clumsy and my technique was not what it used to be. 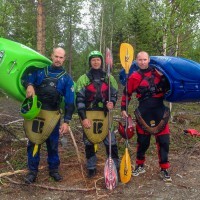 Last year was my worst season in maybe 15 years when it comes to the amount of paddling days I had time for. This was a wake up call that I really need to get time on the water to be able to keep the skill level I used to have when in the national team. 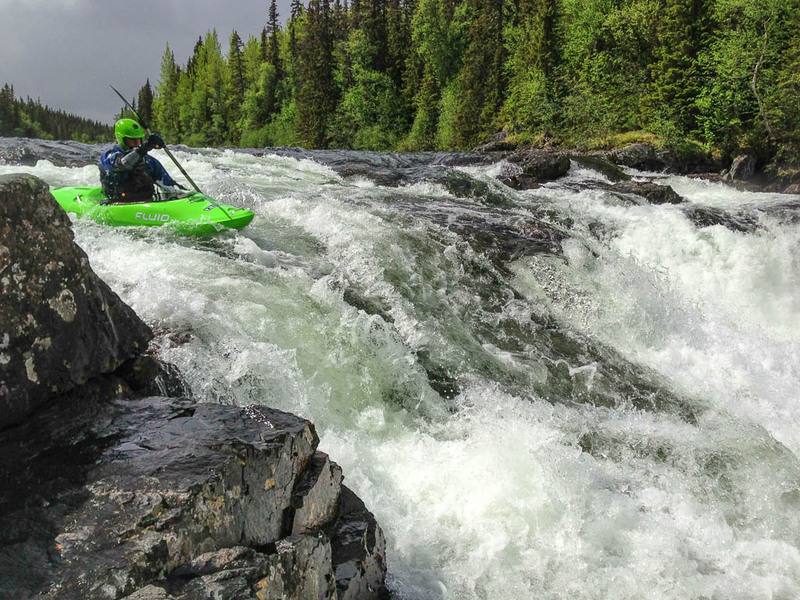 I will need that skill in a few years when I plan to crown the Sven Hedin expedition series with a very demanding kayaking expedition. Group photo by Benjamin Ahlgren who unfortunately missed out on the action today. Ante Danielsson in the middle of the froth. 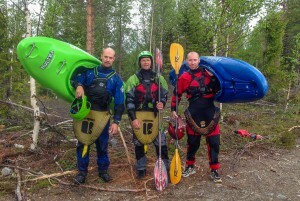 Stefan Pettersson, Ante Danielssson and Lars Larsson.